Bonkohara posted a new concept art image now that she has surpassed 7000 followers on twitter. She stole this image from Sakai’s desk. 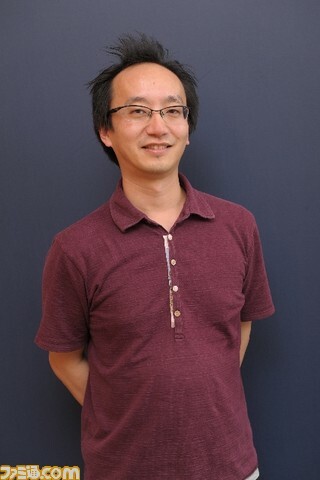 Sakai wrote a note on the official website thanking everyone for participating in the alpha test. 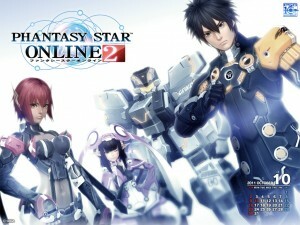 By looking through all the requests and opinions that users gave, and giving the time for the development team to perform it, Sakai has now formally changed the release date of Phantasy Star Online 2 to 2012. But that’s not all, Sakai is thinking about performing a second alpha test. Though the time when this alpha test starts is not decided yet, but it could start around early 2012. Unlike last time, there will not be specific conditions you have to meet to join the test, but the selection process for additional testers was not mentioned yet. This new test will allow more players to participate in the alpha test. This also allows them time to report to you the current status of the game and give information through an official blog. He’s sorry to have you wait even longer but it seems that this is necessary to make the game everyone can enjoy. The Staff respond to the requests users made for the Alpha Test! Just Attacks are possible here. I want to attack automatically by continuously pressing the attack button. Though it is possible to keep attacking automatically by pressing down the attack button, this won’t allow for a Just attack. The amount of times you can perform the Hunter’s Step and Dive Roll actions are too high. Some of the actions need a disadvantage, this makes the game balance really bad. I want you to adjust Guarding, because it isn’t useful. Concerning the timing to cancel attacks, adjustments can be made so that Guard can be performed quicker than Step, this would be effective when you guard from a sudden attack. When Technics are charged, stop it from slowing down movement. We’ll stop it, however you won’t be able to dash during this. I want to be able to charge technics from the sub-palette. The technics in the sub-palette can be charged too. Uncharged Technics power is too low. We’ll adjust it so that the difference between uncharged and charged technics are appropriate. The effective range or Resta is too narrow, and isn’t effective in healing friends nearby. We’ll adjust the effective range of Resta. The screen shakes too much. We’ll reduce the amount of times it occurs and allow you to adjust the settings of it. I want it so that you can walk again when you push lightly on the analogue stick. When you are carrying weapons on your back, you should be able to walk. I feel that the way enemies cancel their damage animations from attacks is impractical. This damage animation will be changed so it happens when you do just attacks, but this won’t have an effect on larger sized enemies. When HP is full, prevent the use of recovery items from being used. We will prevent recover items from being used when HP is full. When you are locking-on, prevent us from locking on to other players. We will prevent you from locking on to players. Make “lock-on” like the old way from past series by holding it down. When you use the gamepad, you’ll do it by holding down the button. When you use the keyboard and mouse, you’ll do it by clicking. You can change the settings in the Options. By pressing it when you are not locking onto any target, the camera will face forward of the character. As for the overall UI, it is hard to control it with the Gamepad compared to past games. We’ll improve upon the gamepad aspects and allow you to play comfortably not only with the gamepad but also keyboard and mouse combination. It is hard to distinguish the icons, some of them are hard to understand. We’ll review the direction and design of our icons and remake them. The number of consumable items you have, and the number on the icons themselves are small and hard to see. We will improve the visibility of them. The icons used for the weapons and the icons showing a locked status are hard to understand. We will improve upon the visibility of such things. The way you buy and sell items in the shop is hard to understand and inconvenient. We’ll allow you to quickly purchase items in the shop and remove the cart system. In the storage box, allow us to choose multiple items and move them at the same time. We’ll allow you to do so. Allow us to move items which you just purchased to the storage box, and allows us to sell from the storage box. I want to be able to keep money in the storage box. We’ll allow you to keep and withdraw money from the storage box. In multiparty areas I want to be able to see the HP bars of other parties so I can make a judgment on when to use healing. We’ll make it so that you can see their HP above the player’s head of a person not in your party. When you go to another area, prevent the radar map from switching from nearby surroundings display to entire display. We will prevent it from doing that. When the Radar Map shows the nearby surrounding display, it is too small. Please increase the size of it. We’ll increase the size of the radar map. Even if the party member is in a far off location, I want the radar map to display their position. We’ll allow the radar map to display their position. Allow it so that PA or Technic disks that drops shows its current level before I decide to pick it up. When you approach a disk that dropped, it will show the level in the information area. It’s hard to visibly know when you are locking onto an enemy. I want to be able to chat when touching the keyboard. It feels odd starting up the chat by pressing the C key. When using the keyboard and mouse, you can change the possible settings to something other than the C key, like the Enter Key. Allow us to do shortcut keys that enable us to use cut-in chat, different balloon type, and use manga iconography. The above mentioned request can be enabled by a shortcut key. I want a function that allows us to meet a friend immediately. We’ll allow it so that you can go to the block of a friend that you have on your friends list. It’s hard to know whether you are in party chat or public chat, I want to see something different (that distinguishes between these two chats). In addition I want it easier to switch from public to party chats. We’ll add a function that allows you to switch chats. In addition, we’ll make the balloon expression different when you are in public or party chat so that you definitely know which chat you are speaking in. We will remove that stat from outfits, in addition, your defense stats will mainly compose of your base stats and units. I want to be able to turn off the graphics of the units. We’ll allow an ON/OFF switch for unit’s graphics. I want you to expand the minimum to maximum height range. We’ll increase the range, but by a small amount. Allow casts to morph their face like other races. We’ll allow you to choose faces that will allow for face morphing. Allow Casts to run like the other races, or maybe you should allow us to change it by choosing the leg parts. We’ll allow you to change your movement options regardless of what leg parts you have. You can choose between running or hovering. When I start a quest, I want to be able to put what policies I have for the party when I’m creating a name for the party. We’ll allow you to place not only your name, but also choose the play style, insert the party comment, password, and what conditions you want joiners to have all at the same time. We’ll place an elapsed time, and the playstyle of the party to the party list information. In a multiparty quest I want to be able to play with specific players and specific parties. We’ll allow the option for you to add a password for multi party quests. In camp ship, please arrange for quest counter functions so I don’t have to go all the way back to the lobby just to do a new quest. I want to receive new quests consecutively. I want to be able to go directly to the planet without having to start a quest. Even if you do not receive a quest from the quest counter in the lobby, you can go down to the planet and do a free quest directly from the camp ship area. Inside the camp ship, I want to buy and sell items. We’ll install a shop in the camp ship area. When you are in the camp ship, allow us to go directly to the areas a party has been through. During a free quest, I want various types of Interrupt events to occur. Interrupt events will occur in a free quest. During a free quest, I want there to be a definite end of the quest. In the deepest part of the field for a single party area, a boss can appear, if you kill it, the quest ends. However you can kind of continue playing in the area fighting enemies without having to clear the quest just before the boss area. The conditions to open up a new quest seems unreasonable if you were unlucky to not trigger a certain interrupt event. *Specifically regarding this, if you recall back in a previous post on here, the Vol Dragon was random, and is also an interrupt event. But if you wanted to play a mission that had him permanently it required you to encounter him randomly. Doesn’t sound fair does it? I want to be able to fight boss enemies with all the party members in an area like the older games. In some quests this will happen. When I pick up dropped items, the item pack’s capacity becomes full very quickly. Because there were too many items that dropped at a time, we’ll adjust it so that useless drops don’t occur so often. When you receive a clear reward and your item pack is full, it feels like you are not given the item. At the time you clear a quest and your item pack is full, the item will be sent to storage. We’ll just quickly go through some of the points discovered in the Famitsu interview. 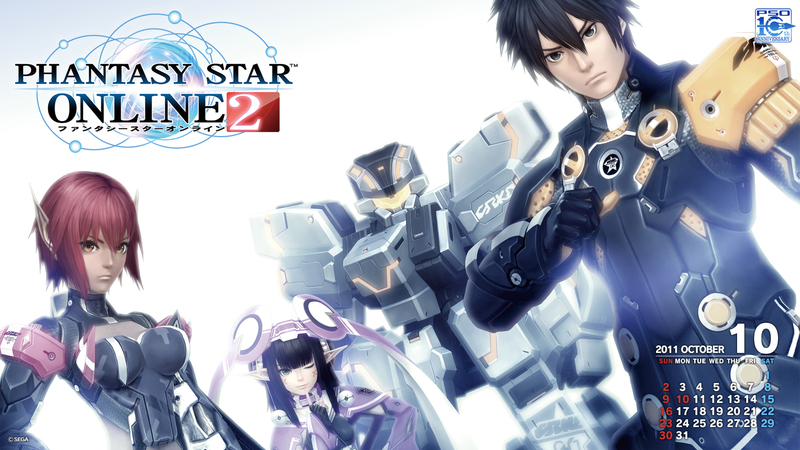 Satoshi Sakai and Famitsu talk about the alpha test and the recent announcement that Phantasy Star Online 2 was delayed until 2012. Let’s see some of the stuff we can find. Parts are paraphrased or skipped. You have finished the alpha test and the Tokyo Game Show, what were the user reactions so far? Generally very good! Thanks to you all, I was able to win the award in the Future Prize for the Japan Game Awards. Congrats, you received requests from users, are there areas that you are going to revise? Yes, we want to make some modifications to the interface. Since we need some time to do such changes, at first I wanted to start the game in 2011, but now we decided to move it to 2012. Sorry to have you wait even more but before the game is launched I want to build up the foundations of the game with high satisfaction. Plus, you raise the quality of the game when you continue to test it. As for the requests, what things will come to the game now? There were over 20,000 requests/opinions for the alpha test. 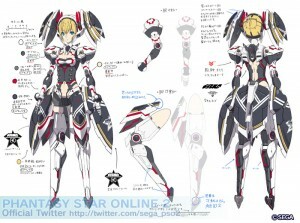 Some were related to the quest, some to the user interface and operation, some for the communication and character creation. And the responses to some of those requests were announced. It seems there are many modifications too. As for the alpha test did it feel that it was in a condition it could be enjoyable? […] When thinking about making the game play comfortably, it seems that many wanted the interface to be improved upon. In the initial stages, as it being a PC game, one would put the keyboard and mouse as the main way to play the game. 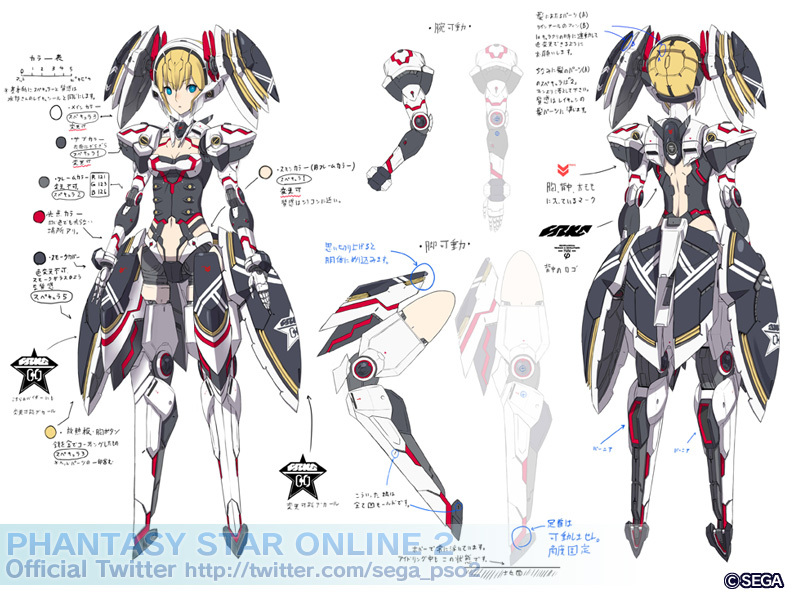 But console gamers who have a strong image of PSO will use a gamepad to play. At the time of the alpha test, in the options screen, you could not adjust parts for the Gamepad. The chat compared to past games in the series, was seen as inconvenient… I will review improvements upon aspects for both those who play with gamepads and those who play with keyboard. To improve upon these demands as much as possible, I will hold a new test, an alpha test 2. (α2テスト* is the nickname for those keeping track). It will have even more people. Eeeeh!? When will the second alpha test start? This second alpha test will commence early 2012. However, I’m not going to say it will start quickly after the New Years holiday. All of you who participated in the alpha test in August can also participate in the second alpha test. In addition we will add more recruitment offers for new testers. How will you recruit new testers for the second alpha test. We will recruit new members starting around December, 2011. After the Alpha test is over will there be a beta test? I see. When will the Beta Test and Official game start? Since I do not know what corrections are needed after the second alpha test, I cannot say when. But I will do my best to do the beta test as soon as possible, then officially start the game.